If this doesn't end up on consoles, next-gen or otherwise, then there's something very wrong with the world. 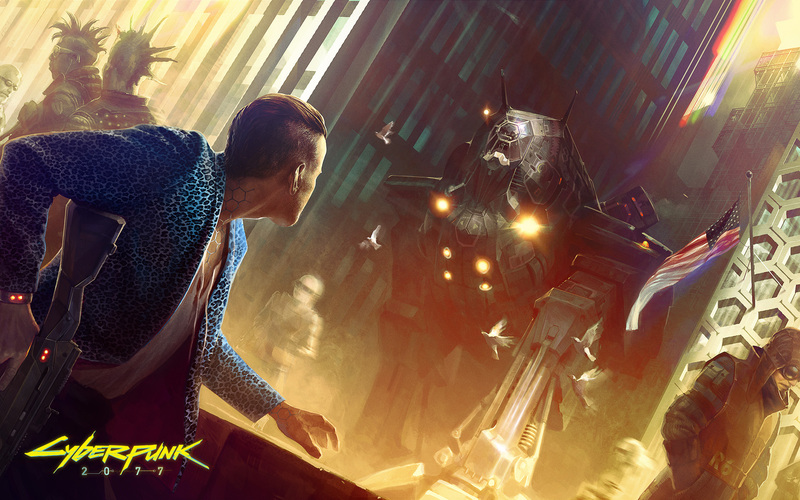 We're talking about Cyberpunk 2077, CD Projekt RED's triple-A action RPG based upon the classic 80s pen-and-paper game created by Mike Pondsmith, Cyberpunk 2020. The CG teaser trailer has dropped today, and it looks utterly amazing, drawing a number of sci-fi influences including Blade Runner. That flying police car for example? Pure Blade Runner. In the teaser trailer for Cyberpunk 2077 you'll get to see how the so-called 'Psycho Squad' recruits a new member. Otherwise know as the MAX-TAC (Maximum Force Tactical Division) the Psycho Squad is a team of crack troops charged with tackling 'psychos', humans who overuse implants and substances to boost and alter their biological make up. These individuals go on a rampage, killing what they call 'meatbags'. You can see how Psycho Squad deal with their targets in the video. Cyberpunk 2077 will be out "when it's ready" and there'll be more information on the game on February 5th, 2013. Here's hoping said info includes the announcement of consoles as one of the platforms for the game. Please. Is That a Witcher 3 Message in The Cyberpunk 2077 Teaser? Also, considering the respectable success of Witcher 2's port to Xbox 360, I'd be surprised if CD Projekt doesn' thave plans for Cyberpunk 2077 on console. If not at launch, at least to be ported at a later date.